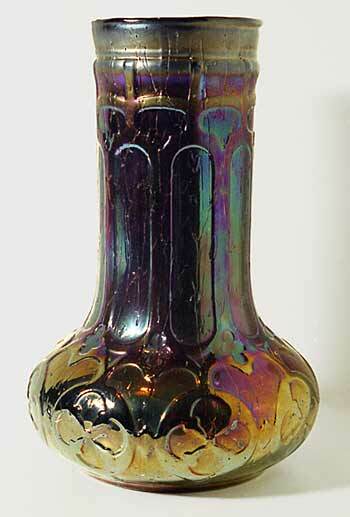 This unusual 12-inch vase in purple is thought to be the first piece of iridized glass made by Dugan. It brought $5,250 at a 1993 auction. It sold again in 2007 for $3,500.